Animal Hospital on Route 66 is a modern, clean and welcoming animal hospital with a skilled and compassionate veterinary team here to make caring for your pet as positive, simple and stress-free as possible. Beyond our comprehensive wellness services, we offer testing for glaucoma, nutrition counseling and prescription diets, behavior counseling, and more. Whether your pet is a playful puppy or kitten, active adult dog or cat, or a senior pet entering his or her golden years, we use a personalized approach to high-quality pet care based on your pet's unique needs. Glaucoma is a common condition in which the fluid pressure inside the eye increases, resulting in damage to the optic nerve, followed by loss of vision and blindness. There are two types of glaucoma. Primary or chronic glaucoma is hereditary or develops as your pet ages. Secondary or acute glaucoma develops as the result of an injury or illness. Because secondary glaucoma can progress rapidly, it is considered an emergency situation requiring immediate medical attention. For your pet's comfort and safety, we use a handheld tonometer to measure the fluid pressure inside his or her eyes. This is a noninvasive, simple procedure that should not cause your pet any discomfort or stress. Allergies are common in dogs of all breeds and backgrounds. The most common symptom associated with allergies is intense itching of your pet's skin, either localized or generalized. Other symptoms include respiratory distress causing coughing, sneezing and wheezing or digestive problems causing vomiting, flatulence or diarrhea. If your pet exhibits any of these symptoms, please make an appointment to have him or her seen by Dr. Perez. If left untreated, allergic reactions and skin conditions can become serious medical concerns. Even with the right training and lots of attention and love, your dog or cat can develop bad habits or unwanted behaviors. Please don't make the mistake of believing you and your family must live with these problems or worse, consider giving up your pet. 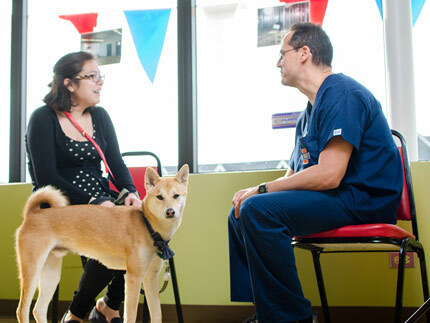 Our animal hospital in Cicero offers behavior counseling that can solve many of your pet's problems. Causes of behavior problems can be environmental, such as a schedule change or introduction of a new baby or pet; learned, as a result of unintentional positive reinforcement; or genetic. Furthermore, any painful disease or condition or degenerative change associated with aging can cause or contribute to behavior problems. Our assessment begins with your pet's clinical history and a thorough medical examination. Before beginning behavior therapy, any medical problems that have been diagnosed will be treated. Addressing the underlying medical problem or providing pain relief, along with behavior modification techniques, can often resolve some of these problems. Feeding your pet the highest-quality food you can afford is one of the best ways you can contribute to his or her health and vitality. Although the differences between premium and budget varieties may not be apparent on their nutrition labels, they are in the quality of the ingredients. Both may contain the same amount of protein but may be very different when it comes to digestibility and nutritional value. Making the best nutritional choices for your dog or cat not only effects general health, but will improve the quality and length of your pet's life. 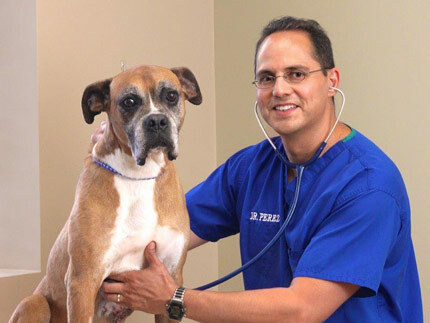 To support your efforts, Dr. Perez will perform a thorough body evaluation during every physical examination and give recommendations including information on proper serving size, nutrient needs, and feeding strategies based on your pet's body condition. Our veterinary team can also help you navigate pet food claims so you can make the most informed choices. Some pets have weight challenges or chronic conditions that benefit from a special prescription diet. Making this change can have a significant positive impact on your pet's overall health and well-being. Prescription diets benefit medical conditions such as liver disease, bladder and kidney disease, digestive problems, renal failure, food allergies, diabetes, and more. 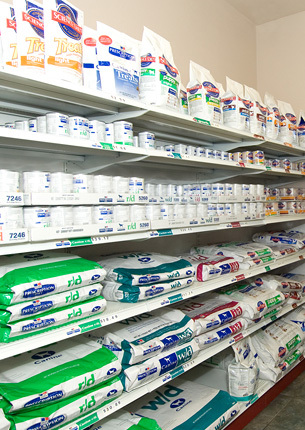 For your convenience, Animal Hospital on Route 66 carries Purina, Royal Canin and Hills prescription products. When your pet is experiencing a medical problem, there's nothing more important to us than to be able to accurately diagnose and treat your pet. Occasionally, we use telemedicine to make that possible. Telemedicine is the provision of health care by phone or computer. With telemedicine, we can offer you and your pet access to even more comprehensive medical care by connecting with doctors and specialists who can lend their expertise in the research, diagnosis, and treatment of specific cases. It is one of the many ways we work hard to provide the most advanced and carefully considered care.